A day in the "Baux de Provence"
For this new getaway with family, we headed towards the Alpilles and more precisely to the village of "Les Baux-de-Provence" ; As small as it is, the village is one of the tourist spots of the department and really ideal for the whole family ... especially in April, a period when the village is more accessible and where spring colors value especially the rock spur ! Careers of lights : First, we will visit the "Carrières de Lumières". Site absolutely inescapable with children : the magic happens upon the entry into careers. This year the multimedia show "Klimt and Vienna a century of gold and colors" presents 100 years of Viennese paintings ; Upon the entry in the Quarries, we switch in a frame outside the norm ! For parents, this is a real enchanted parenthesis in which they allow themselves to be transported immediately. For children, whatever their age, it is absolutely magical : on the ground, they have fun in walking on the pictures slide, or make a small chasing shadows. On the walls, they look pass the images and also play in the shadow puppets . In addition, at the entrance, they had a booklet of games, very nice to do in family after visiting the careers ! Indeed, during the visit, there is so dark that it is not possible to answer to the questions but all is designed to allow us to do it after. On the practical side, there are family rates: For two adults and one child pay, 2nd child is free. There is also a Pass between the "Chateau des Baux" and the "Carrières de Lumières". Always practical side, take a jacket, it is very cold in the quarries. Lulled by the show we have just witnessed, we take the car to park in the village. One advice, if there is a lot of people (as often happens), do not hesitate to drop children (with an adult) at the entrance of the village during you go park further. A small "hiccup" that is the price of the car park : 5 euros. But you will enjoy your day in this village and do not rush you (it is a package, not an hourly rate). The path of Tremaie : We begin our tour with a walk "nature": the trail of Tremaie. Accessible next to the bus parking, this walk (a half hour) makes us go around the rock spur on which the village of "Les Baux de Provence" ; across the Mediterranean vegetation (often explained by signs) we enjoy many views of the Alpilles, olive trees, flowering fields; this easy walk, can not be done with stroller. The walk takes us down the village in which we enter through the "Porte d’Eyguières". Very quickly, we arrive to the "Musée des Santons". Le musée des santons : It presents through two rooms, figurines of various sizes, with all the explanation of their manufacture. It's great for kids because there are two levels of display, including one at their level ! Another advantage for families, the museum is free ! The big advantage with children is that they can walk safely: cars do not access the town (with exceptions)! The disadvantage is that there are many shops and you know as us children with shopping ! Needless to draw a picture on the number of times one has to say "no, we do not buy anything"! A small practical detail, forget the scooter if you visit the Baux ! The streets are paved so it is really will not be a pleasure ! In contrast, no problem with a stroller. In the coffee of the "Bouchon rouge" : For lunch, children choose as restaurant " Au café du bouchon rouge " and very quickly we congratulate them for their choice! The staff is very friendly and the food delicious. Traditional Provencal cuisine, made from local products. There is a children's menu at 8.50 euros, very filling. The restaurant has a terrace cave that is not without charm for young and old people ... We spend a great time in this restaurant and take this opportunity also to answer to the questions of the Career playbook ! There is enough to spend a lot of time at the castle : this is a really nice ride with beautiful views. Then you can discover siege engines to real size that allow you to better understand the tactics of medieval attacks. And finally, in the chapel, you can see a movie of the "Provence from the sky." Screening can also be a source of family games : guess which tourist site is filmed and if we have already visited it ?!?! After a rich day in visits, we decide to go back home ... but on the way back, we discover in the village two shops located in front of the other: Formerly ... sweet salty. On the left side before getting out of town for the sweet side and the right side for salted. The both of them are a real treat for our taste buds and our nostrils! In the salty side, you can savour tapenade or olive oil. What not to miss the kids ! In a small glass, they taste different olive oils (all from the Baux valley) and for each of them, they receive explanations and issue their opinion. It's amazing how opinions are already sliced ! And that's fine, it is important to give them a taste for good things from an early age ! So pleased with our day that we leave Baux, telling us that next time we could maybe do it to stay in the evening to enjoy the so magical light of the evening, and peace in the streets of the village ! enchanting ! 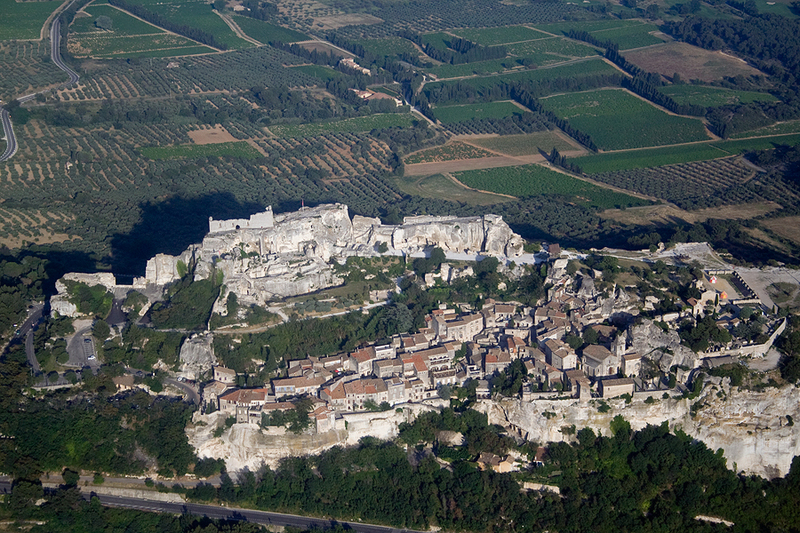 more information about the "Baux de Provence" and the "Carriéres de Lumiéres"